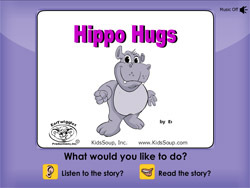 KidsSoup recognizes that young children embrace many different learning styles. We believe that children learn best by doing, being fully engaged, and having fun. To match children's varying interests, abilities, and learning styles, Kidssoup has developed a multi-sensory approach to learning that promotes alphabetic knowledge, phonological awareness, book and print concepts, and vocabulary development. Our curriculum and activities are research driven and aligned to state and national standards. The ABC Twiggles Curriculum is designed to help your children acquire the important skills they need to get them ready for the next step—to learn how to read. To get a feel for our materials for each letter of the alphabet, we offer you all the resources for the letter A for free. 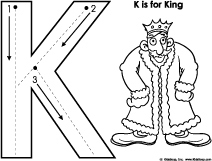 Each letter of the alphabet has an associated puppet craft that can be used to help introduce the targeted letter, and which later can be placed in your ABC center for children to manipulate and play with. 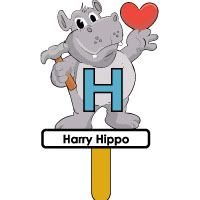 Accompanied by a scripted lesson that teaches the sound of the letter and words that begin with the letter, each letter is also connected to a Letter Chant, Letter Poster, and printables, which when used together address the visual, auditory, and kinesthetic learning modalities. These colorful printable posters highlight words that begin with the targeted letter. Flashcards can be printed in either black and white or color. Use them to reinforce recognition of any newly learned letter. Children have to find, cut out, and paste pictures that begin with the same beginning sound as the learned letter. 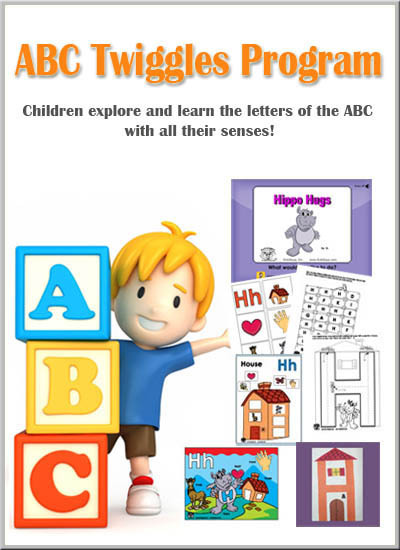 ABC Twiggles E-Books are the heart of the program. The bright colors and entertaining sound effects and music will make your children want to listen to or read these books over and over again. Children can choose to either listen to or read the story. In listening mode, each word is highlighted as it is read. In reading mode, children can read the story, or they can click the audio icon to hear the entire sentence or each word separately. Children can also play the Letter Game in which they find the targeted letter in the sentence. In See the Letter, children use color and one-to-one correspondence to practice recognizing letters in isolation as well as in words. 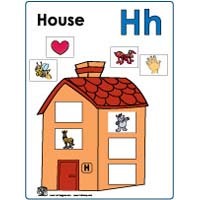 Each letter has puzzle worksheets, word wall cards, and a letter matching game. Children learn the sound that each letter makes by listening to and repeating the Letter Chant, listening to and reading the Letter Booklet, singing a song that relates to each page of the booklet, and listening to a Tongue Twister that highlights the targeted letter. Tactile learners learn best through hands-on experiences. In Feel the Letter, you'll find easy-to-make manipulatives that children can touch and feel to help reinforce letter-shape recognition. In Write the Letter, children develop pre-writing skills by tracing and writing letters, including both Block and D'Nealian. Print black and white or color versions of the letter book and/or storybook to use in your ABC center or send home with children to read to family members. What better way to reinforce the alphabet than by eating it. In Taste the Letter, you'll find fun-to-eat and tasty recipes, each with a list of ingredients, materials, and directions for each letter of the alphabet. 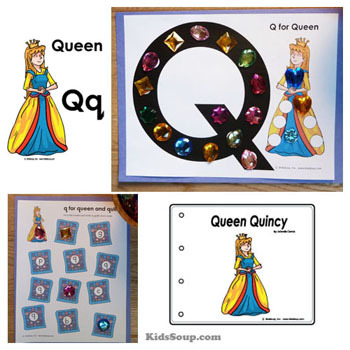 Your kinesthetic learners will especially benefit from the letter-related movement activities, rhymes, and songs that you will find in this section. Children can get the wiggles out as they learn the letters of the alphabet. Utilizing storybooks as a framework for providing highly stimulating experiences will help reinforce alphabetic concepts. Print-rich environments provide opportunities for children to see and use written language. In Literacy, you'll find letter-related theme and book suggestions with accompanying activities, such as crafts, recipes, and songs and rhymes. Reinforce a newly learned targeted letter through playing an educational game. All you have to do is print and cut out the printables. 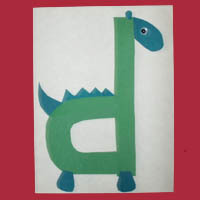 Reinforce a newly learned targeted letter through creating a fun craft with the letter. Each craft comes with step-by-step instructions and patterns. Gain unlimited access to our ABC Twiggles member site with all the resources for each letter of the alphabet.